Cheshire East Council has reaffirmed its commitment to protect, help and support the people affected by the Bosley mill disaster. Cheshire Police have announced the end to their search and recovery operation at the site of the Wood Flour Mill where four people lost their lives in July as explosions tore through the factory. The site has now become the responsibility of the company. This follows the conclusion of demolition work related to the search and recovery operation, which has now been officially closed. Cheshire police has now withdrawn from the site and responsibility passed back to the owners WTL. The families of the victims and those directly affected have been notified of this process. Cheshire East Council will continue to support Cheshire police and the work of partner agency’s to establish the circumstances around this tragic incident and support the local community, going forward. Four people died and five were injured, in explosions and a fire at the wood flour mill in July. Investigations into the cause will continue into the forseeable future with many follow up inquiries still to be made as part of the investigation. Councillor Les Gilbert, Cheshire East Council Cabinet member in charge of communities, said: “Cheshire East and all the agencies that have been working together since this tragic incident happened want to reassure the local community that they are doing everything they can to ensure a safe and effective handover of the site back to the responsibility of the mill company (WTL). “We and our partners have been working to re-open Tunstall Road to the local community and businesses before the Christmas period and that task has now been carried out. “The Council and its partners have had positive meetings with WTL about the requirements for ensuring the safety and security of the mill site – and we will continue to work with the owners to ensure this. “The Council and its partner agencies would like to reassure the local community that we are doing everything we can to minimise any risk from the site to residents, businesses and road users through security and other measures. “I would also like to reassure local people that we will continue to support the community of Bosley for however long it takes to restore and rebuild their community. The Council is leading a multi-agency shadow strategic recovery co-ordination group, whose main aim is to work together as a partnership with the affected residents and employees in Bosley and Staffordshire, to restore the community following the disaster. Hoardings have been erected around the mill site and the majority, but not all, of the highway next to the mill has been cleared, as well as swept and cleaned. Further work to make stable the cottages affected by the mill explosion will take place in January. Until this is completed, a 10mph advisory speed limit will be put in place at the site to limit speed and vibration, alongside single-way traffic operating under traffic signals. The Council is leading a multi-agency group to work with the residents of Bosley and employees to try to restore the community following the disaster. ● Business and economy (economic effects). Seahorse Swimming Club Volunteer Michael Roberts was given a surprise at the Club’s Christmas party, when he was awarded a glass plaque by the Mayor of Crewe Town Council, Councillor Dennis Straine-Francis, for his 50 years voluntary service with Seahorse, which caters for people with disabilities. Michael, a former rail worker, started volunteering at Seahorse in 1965 and has had several roles on the Club’s committee including Chairman. While working on the railway as an engine cleaner, before becoming a fireman and then advancing to be an engine driver, he got involved with railway charity work, which supported veteran rail workers. Michael, has also served as Chairman of the Emmie Dixon Home, a residential care home for people with disabilities in Crewe. In 1996, Michael was given recognition for his charity work when he was awarded the British Empire Medal. He retired from the railway in 1999 after over 30 years’ service. In 2002/03, he took up office as Mayor of the former Crewe and Nantwich Borough Council. During his Mayoral year, the Mayor’s Charity supported the Diabetic Society, the Air, Sea and Army Cadets in Crewe and Seahorse Swimming Club. “It was fitting for the Club to recognise Michael's work and loyalty. He has showed terrific commitment, and as well as encouraging the swimmers during their weekly sessions, he has influenced many people to join the Club as volunteers. He continues to have a role on the pool side and currently serves as vice chairman.” – Gareth Roberts, Secretary. Photo - Michael being presented with his award by the Mayor of Crewe Town Council. Welcome to this, my 167th news bulletin. At the end of the year, I've been looking back over 2015, and reflecting on all of the things that have changed since my last Christmas news bulletin. It’s already seven months since the British people went to the polls at the General Election, and by putting a Conservative majority in power, they gave us an important responsibility: to deliver our commitments for opportunity, stability and security. Indeed we set out exactly that on the very opening page of our manifesto. A manifesto shouldn’t be a wish list, it should be a checklist. That’s why we haven’t been tacking off in a new direction, but marking off the commitments. In the past five years, we’ve turned the old approach on its head. We have made consistent arguments: that government living within its means is to ensure the economic security of every family in the country. We’ve tried to live up to that challenge. Next year the deficit is set to be less than a quarter of what we inherited. By 2020, it will be gone completely. And that strong economy allows us to deliver on our other commitments. First: we said we’d maintain the amount of money that follows every child into school. And two weeks ago we did more than that, pledging an annual schools budget of over £40bn. We’ve said to headteachers, ‘You control your budget, you decide on discipline policies, you set the ethos and direction of your school.’ And at the same time, we’ve said to parents, charities, businesses, ‘You can set up new schools in the state sector if you want to.’ Over a million more children are learning in ‘good’ or ‘outstanding’ schools since 2010. Second: giving young people a good start in life includes giving them the choice of an apprenticeship, or a university. Over 6,000 apprenticeships have been started in Crewe and Nantwich since 2010. So that’s why we’ve expanded the numbers, and we’re making good on our commitment to reach three million apprentices trained in this Parliament by 2020. We’ve been able to fulfil another pledge in our manifesto, to uncap university places, so we can have well-funded universities, and increased participation. In September, more 18-year-olds headed off to freshers’ week than at any time in our history – 200,000 of them – and more from disadvantaged backgrounds than ever before, opening up opportunity for all. Our manifesto made another clear commitment: to create two million more jobs. In the short time since the election, 158,000 more people are in work. And in Crewe and Nantwich we’re doing our bit: I was at Bentley recently to see the first Bentayga SUV roll off the production line, creating more jobs both at Bentley and in the supply chain. Third: we set out a huge mission in our manifesto: to create a million more homeowners. We said we’d give 1.3 million housing association tenants the right to buy. This autumn we secured voluntary agreement with housing associations like Wulvern to do just that. Fourth: security when you’re raising a family. At the Spending Review we made £6bn of commitment to working families, with tax-free childcare worth up to £2,000 per child per year from early 2017. But security for families also means having more money at the end of the month. We said in our manifesto we would not raise VAT, National Insurance or income tax for the next five years. We’re phasing out slowly tax credits under Universal Credit, and as they go something else is coming in: a new National Living Wage. By April no-one in this country aged over 25 will earn less than £7.20 an hour. Fifth: we pledged not just to maintain NHS funding, but to increase it. We have announced we’d deliver the first £6bn upfront next year. Plus, no more ‘wait until Monday’ for the care you need; no more, ‘we don’t do that at the weekend.’ Instead, security 365 days a year, 24/7, for every single one of us at hospitals like Leighton. We’re also trying to do right by pensioners, who, for too long, got a raw deal. We’re increasing the basic state pension to £119.30 a week – the biggest real-terms rise in 15 years. We’re also bringing in the new state pension, whose full amount will start at £155.65 a week. Now we’re not saying we’ve done everything, but day by day, we’ve been holding firm to our pledges and paving the way for the brighter future that people voted for. I would like to take this opportunity to wish you a Happy Christmas, and a peaceful and prosperous 2016. The Woodland Trust have asked me to spread the word about their free trees scheme for schools, which is supported by the Government. The new scheme offers eligible schools extra help with planting to encourage them to make their school grounds and local communities greener. As well as free tree packs, there’s help with finding somewhere else to plant if there isn’t room in school grounds; and there’s on-line curriculum linked resources to support teachers’ lesson plans. The closing date is January 8th 2016 and schools can apply via the Woodland Trust website, which is also a mine of information about trees, woods and wildlife. Welcomed the Chancellor of the Exchequer to Basford, where he confirmed that Crewe will receive a High Speed Rail service, confirming the route and announcing that the benefits of HS2 will reach us six years earlier than originally planned. Watched as the first Bentley Bentayga rolled off the production line at Pyms Lane: the culmination of a huge investment in technology and local skills, demonstrating exactly why Crewe is the home of Bentley. 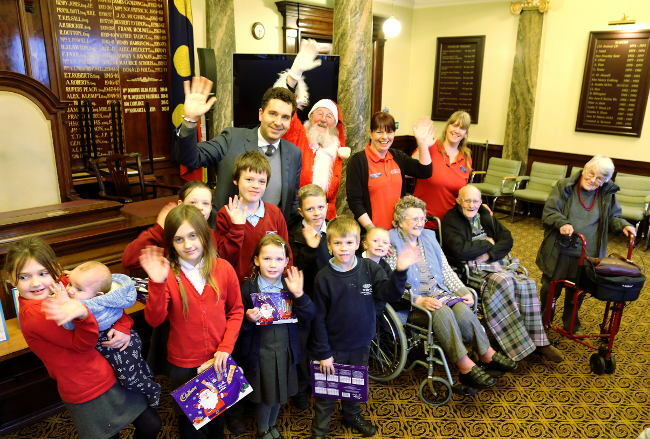 Helped launch the Crewe & Nantwich Round Table's new Santa's sleigh. The new vehicle was specially adapted by Whitby Morrison, and is already helping the Round Table to raise lots of money for local good causes. Presented awards to thank the talented artists, young and old, who entered my Christmas card competition this year, and congratulated the winner, Freya Buckley, whose brilliant design was printed on the front of my Christmas cards. Handed a cheque for more than £3,600 to the Leighton Hospital MRI Scanner Appeal. A big thank you to everyone who sponsored me in running the London Marathon this year in aid of our local hospital. Spoken at the launch at Crewe Hall of Project Crewe, an initiative of Catch22 and Cheshire East Council to find new ways of supporting local children in need. The project has been awarded £1.4m from the Department for Education Innovation Programme, and will transform the way that social services help children in Crewe and Nantwich. It was great to present prizes to the many talented artists who were shortlisted in my MP Christmas Card competition (with special guest Father Christmas!). Congratulations to the winner, Freya Buckley, who is a pupil at Beechwood Primary School, and thanks to everyone who voted for their favourite design on Facebook. 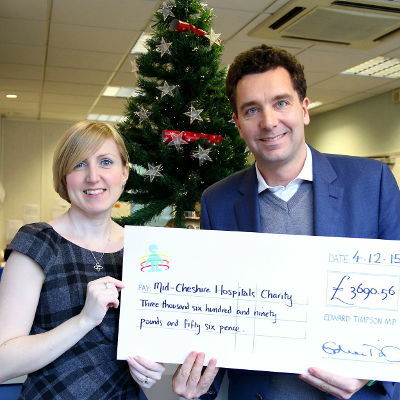 Nantwich News: MP Edward Timpson has donated nearly £4,000 to the Leighton Hospital MRI scanner appeal after tackling the London Marathon, which he completed in three hours, 56 minutes and 42 seconds. 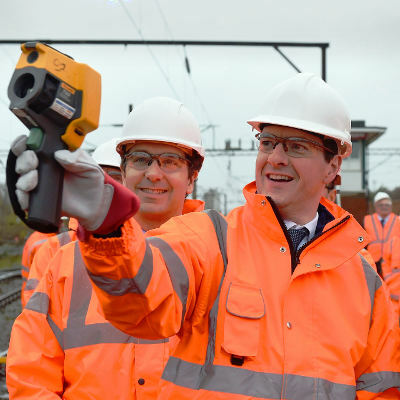 Crewe Chronicle: Chancellor George Osborne was at Freightliner at Basford to announce details of the Government's commitment to bring high speed rail to Crewe. Work will start in the next couple of years. 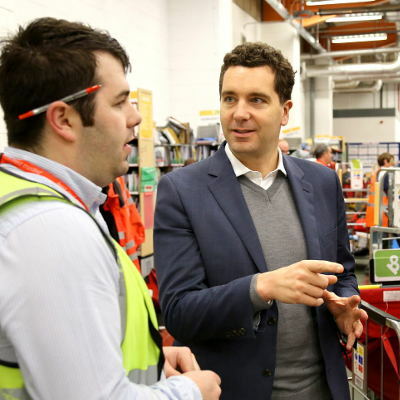 Crewe Chronicle: Crewe and Nantwich MP Edward Timpson has visited Royal Mail's Crewe delivery office to pass on Christmas wishes and encouragement to postmen and women at their busiest time of year. Cheshire East Council's Deputy Leader has warmly welcomed news that pharmaceuticals giant AstraZeneca is to invest £75m in the Borough. The money will pay for a state-of-the-art packing and warehouse facility at the company's base in Hurdsfield, Macclesfield – and help secure the future of the site's 3,500 staff. This positive news highlights the continued success of the life sciences sector in Cheshire East – coming just two years after AZ announced its decision to relocate the majority of R&D jobs from its Alderley Park site to Cambridge.AZ's regional vice president Marc Jones said the news 'confirms the significance of Macclesfield as a major manufacturing facility'.Councillor David Brown, Deputy Leader of the Council, said: "This is fantastic news and a real vote of confidence in Macclesfield, its highly-skilled workforce and in the whole of the bio-science sector in Cheshire East. "This significant investment will not only help secure skilled jobs and give a real boost to the local economy but also strongly supports the Council's vibrant Cheshire Science Corridor strategy. "AZ's Macclesfield site is a key asset in the Cheshire Science Corridor – accounting for more than one per cent of total UK exports – and part of the Borough's thriving life science sector, which employs more than 7,000 people." The news follows the Chancellor of the Exchequer's announcement last month that the government would provide £4m to establish a centre of excellence at Alderley Park to spearhead research into anti-microbial resistance (AMR). He also revealed that Alderley Park would form part of a new hi-tech science Enterprise Zone spanning Cheshire and Warrington. September also saw the launch at Alderley Park of a £30m Greater Manchester and Cheshire Life Sciences Fund, which included a £5m investment by the Council. While In July, it was announced 450 jobs had been created by 28 companies at Alderley Park since AZ announced its intention to relocate its R&D. The new facilities announced for Hurdsfield will be built on the site of an existing warehouse and will feature packing lines for tablets and capsules and an automated warehouse. Demolition work has already begun and construction of the new facility will begin early next month.The company has also recently invested in a new sterile production facility at its Macclesfield site. A major collaboration programme aimed at protecting front line emergency services has been given the thumbs up by Cheshire’s fire and police chiefs. Cheshire firefighters, along with crews from specialist search and rescue teams and crews from other fire and rescue rervices, provided help in Cumbria during the extensive flooding across the region after the county took the brunt of Storm Desmond. Staff from Warrington, Widnes and Congleton Fire Stations were among the crew that went to Cumbria, along with personnel from International Search and Rescue team (ISAR). Two fire engines, a rescue boat and a High Volume Pump were also sent. The mission was to help in the efforts to rescue people from the devastating impact of the flood waters, and also to provide support to Cumbria Fire and Rescue Service. We would like to remind landlords that they are breaking the law if they fail to provide their tenants with smoke alarms and carbon monoxide detectors. Regulations which came into force in October mean it is compulsory for smoke alarms to be fitted in rented homes. Carbon monoxide alarms must also be fitted in properties which burn solid fuels. They must be fitted on every floor of the property and landlords should check the alarms are working at the start of every new tenancy, with potential penalties of up to £5,000 if they don’t comply. It's getting cold! Is your car ready for winter? Winter is the season requiring most care and preparation if you are to stay safe on the roads. The British winter is unpredictable. Bad weather can strike suddenly, so please make sure you are prepared for the conditions. Please prepare yourself and your car for winter driving. Cheshire East Council and its partners are offering a range of advice and support to residents on how to stay well this winter. Free flu vaccinations are still available for people Public Health England has identified as being at risk of suffering from flu. People over 65, pregnant women and people with underlying health conditions can get their flu jabs from GPs and community pharmacies. Children aged two, three and four years old are being offered the vaccine by their GP surgery and those aged five and six are being offered it via the school health service. Health and social care workers are also having the jab to protect themselves, as well as their patients and clients. Councillor Janet Clowes, Cabinet member in charge of health and care in the community, said: “Cheshire East Council is urging residents to get their flu jab as soon as possible. “While the symptoms are unpleasant, most people recover quickly. However, older people, the very young, pregnant women and those with underlying disease are at particular risk of severe illness if they catch flu. Dr Heather Grimbaldeston, director of public health for Cheshire East, added: “We are encouraging people to contact their GP at the earliest opportunity and make an appointment. “It is really important that people are immunised every year, as the flu bug changes each winter. · People who are in receipt of a carer’s allowance, or those who are the main carer of an older or disabled person, whose welfare may be at risk if the carer falls ill. By getting the flu jab, carers also reduce the chance of them transmitting flu to the person they care for. Cheshire East Council has welcomed the planning inspector’s latest views on the Borough’s Local Plan. Following the resumption of the Local Plan examination in August and the holding of seven days of hearings in October, Local Plan Inspector Stephen Pratt has now issued his ‘further interim views’. These broadly support the further evidential work carried out by the Council over the past 12 months in relation to the Local Plan. In terms of the economy, the inspector supported in principle the Council’s jobs growth estimate of 0.7 per cent per annum, saying that ‘CEC seems to have adopted a balanced and rational approach to economic and jobs growth, which is both ambitious and aspirational, yet realistic and with a reasonable prospect of success’. On housing, the objectively assessed need (OAN) for 36,000 new homes was also broadly supported. Other supporting evidence was also judged to be appropriate. The inspector noted that ‘The approach set out in the green belt update assessment seems to reflect national policy and address most of the shortcomings of the previous green belt assessment’. The suggested amount of ‘safeguarded land’ was also considered ‘logical, rational, effective and justified by the supporting evidence’. Similarly, the distribution of development was thought to be based on ‘sound technical and professional judgements and a balancing exercise, which reflects a comprehensive and coherent understanding of the characteristics, development needs, opportunities and constraints of each settlement’. However, the inspector also stressed that he could not reach definitive conclusions on most of these matters until further consultation had been held and the site-specific aspects of the Local Plan had been examined. Councillor Rachel Bailey, Cabinet member in charge of the Local Plan said: “I am delighted that the inspector has broadly supported the Council’s approach. “With his endorsement in principle, we can now press full ahead in progressing the Local Plan to its later stages. The next step will be to present a comprehensive set of proposed changes to a full meeting of the Council before carrying out wide-ranging public consultation over a six-week period. “I would like to thank all those who participated in the recent in the recent examination hearings and look forward to ongoing engagement as the Local Plan process continues. “We appreciate that the inspector cannot reach any final views at this stage – and that the revised evidence naturally requires significant change to the submitted strategy. However we now have a clear sense of how to move forward. My favourites so far in Crewe are located in Ravenscroft Road, Alton Street, Salisbury Avenue and Vincent Street. My favourites so far in Wistaston are in Lear Drive and Westfield Drive. My favourites so far in Nantwich are in Cope Avenue, Davenport Avenue and Barony Road. There was also a Christmas car this year after Michael Cope from Crewe decorated his BMW with 1,000 lights! My most favourite Christmas house this year is located in Alton Street (Queens Park end) in Crewe. The owner(s) have decorated their house frontage in a wide selection of inflatables, lights and Christmas scenes. For several years running they have clearly spent a lot of time and effort in choosing and setting up their displays. The annual Nantwich Santa Dash took place on the morning of Sunday 13th December 2015. Liz Southall from online community radio station RedShift Radio - http://www.redshiftradio.co.uk/ - compered the event on the town square. She thanked the sponsors, volunteers and participants for making the event possible. The best dressed competition, judged by 1st Choice for Homes, was deservedly won by David Barley from Nantwich and Sally Tolhurst from Leek as they each dressed as a Christmas present box, complete with flashing fairy lights! There was a warm up from an Instructor from Everybody http://www.everybody.org.uk/ , followed by a reminder of the two new routes (1 'lap' of 2.5km or 2 laps of 5km) around the town before the 200 runners moved to the start line for the 11am set off. There were people dressed as Santa Claus, Mrs Claus, elves, inflatable Santa's, along with several Santa dogs. The last people crossed the finish line on 50 minutes. Each finisher received a medal, chocolate, mince pie and bottle of water. All proceeds from the event will go to Hope House Children's Hospices http://www.hopehouse.org.uk . The race was once again generously sponsored by 1st Choice for Homes http://www.1stchoiceforhomes.com , with the chocolates kindly supplied by Sugros Cash & Carry, and the mince pies by Chatwins. The course was marshalled by the Rotary Club of Crewe & Nantwich Weaver and teenagers from National Citizen Service (NCS). Race Organiser, Hannah Penney, said, "We thank everybody for attending today's event. It was lovely to see so many people getting in the festive spirit and supporting the charity. We wish everyone a Merry Christmas and a Happy New Year." The Wistaston Singers performed at a Christmas Carol concert on the afternoon of Saturday 12th December 2015 at St Stephen’s Methodist Church on Gainsborough Road in Crewe. There were readings by Jill Oakes (Micah 2, 4, 5), Peter Manning (St Luke 2 V 1-7), Jackie Stubbs (St Luke 2 V 8-16), Ann Handley (St Matthew 2 V 1-12) and John Saunders (St John 1 V 1-14). The soloists were Chris White who sang ‘Where Did My Snowman Go?’ whilst playing the ukulele and dressed as a snowman! Chris also combined with Fred Allman to sing a hilarious ‘The Twelve Days of Christmas’. Liz Wood sang a haunting ‘Walking in the Air’. Carols sang by the choir and congregation included ‘Once in Royal David's City’, ‘A Great and Mighty Wonder’, ‘While Shepherds Watched Their Flocks’, ‘The First Noel’, ‘See, Amid the Winter's Snow’, ‘O Little One Sweet’, ‘It Came Upon the Midnight Clear’, ‘Hark! The Herald Angels Sing’, ‘O Little Town of Bethlehem’, ‘Torches’, ‘Good King Wenceslas’, ‘Angels from the Realms of Glory’, ‘O Holy Night’, ‘O Come, All ye Faithful’. The finale was a rousing ‘We Wish You a Merry Christmas’. Proceeds will go to St Stephen’s Methodist Church. ABBA tribute band ‘ABBA Revival’ performed at Nantwich Civic Hall on Friday 11th December 2015. They opened and closed their show with ABBA’s breakthrough hit ‘Waterloo’. Their set was full of numerous other floor-fillers from the Swedish supergroup including ‘Mamma Mia’, ‘SOS’, ‘Super Trouper’, ‘Chiquitita’, ‘The Name Of The Game’, ‘I Have A Dream’, ‘Honey Honey’, ‘Gimme! Gimme! Gimme! (A Man After Midnight)’, ‘Money, Money, Money’, ‘Voulez-Vous’, ‘Lay All Your Love on Me’, ‘Fernando’, ‘Take a Chance on Me’, ‘Ring Ring’, ‘Thank You for the Music’ and ‘Dancing Queen’. The band consisted of John as Benny Andersson, Lisa as Anni-Frid Lyngstad, Nina as Agnetha Faltskog and Kenny as Bjorn. ‘Anni-Frid’ and ‘Agnetha’ sang in harmony and had several costume changes during the evening, whilst ‘Benny’ played an original white Yamaha CP70 piano and ‘Bjorn’ was a virtuoso on guitar. Stage props, which included a large flashing ABBA sign, and fantastic lighting added to the atmosphere. Several audience members dressed up in wigs, flares, catsuits and platform boots. The Hall was bedecked with snowflakes and flashing snowflakes suspended from the ceiling, and a large Christmas tree on the stage added to the venue’s Yuletide ambience. The evening finished with a disco featuring several party classics. Tickets were only £10 and represented excellent value for money. A Council crackdown on benefit fraudsters has led to more than £1m being clawed back for Cheshire East taxpayers and more than 50 people being convicted by courts this year. The landmark figures were revealed as the Council successfully prosecuted three more people in the Borough for benefit fraud. Since January 1, 2015, the authority’s benefit investigations team has uncovered more than £1.128m in fraudulently-obtained benefits – which is to be repaid by the offenders – and achieved 56 convictions. The authority has also imposed 51 penalty notices and issued 55 cautions. Cheshire East Council actively pursues the recovery of all fraudulently-obtained money to ensure the taxpayer does not lose out. Councillor Les Gilbert, Cheshire East Council Cabinet member in charge of communities, said: “A figure of £1.128m is a significant amount of money that is successfully being reclaimed for our local taxpayers. “These latest prosecutions, and others like them, send out a very clear message that we are an enforcing Council and that crime does not pay. “Benefit fraud will not be tolerated and we have continued to take robust action to protect our communities from those who abuse the rules at the expense of taxpayers. “I congratulate our enforcement teams on their hard work on taxpayers’ behalf. “The message is clear: people who think they can get away with claiming benefits they were not entitled to are making a very big mistake. Those who cheat the system will be brought to justice. The latest successful prosecutions against three offenders netted fraud totalling more than £19,800. They were ordered to repay the money obtained by deception in full and pay out more than £800 in fines and court costs. Nikayla Thomas, of Cranberry Lane, Alsager, pleaded guilty before South and East Cheshire Magistrates Court, sitting at Crewe (on November 11, 2015), to making a false statement to obtain housing benefit and Council Tax benefit. The court heard that Thomas, 27, had failed to declare she was in work when she made her application for housing benefit and Council Tax Benefit, which led to her receiving £6,426 in benefits that she had not entitled too. Sentencing magistrates imposed a curfew on Thomas between 8pm and 7am for an eight-week period and ordered her to pay costs to the Council of £450, court costs of £100 and a £60 victim’s surcharge. In a separate prosecution, pensioners John Pullen, 71, and Lynette Pullen, 69, of Bollin Drive, Congleton, pleaded guilty before Crewe magistrates (November 13), to making a false statement to obtain housing benefit and Council Tax benefit to which they were not entitled. The court was told the husband and wife had submitted a joint application form for benefit to the Council, in August 2011, in which they failed to declare that Mrs Pullen was in work. In submitting the false claim, the Pullens received £13,441 in benefits from the Council that they were not entitled to. Magistrates sentenced Lynette Pullen to 12 weeks’ imprisonment suspended for 12 months and ordered her to complete 200 hours’ unpaid community work, pay £375 prosecution costs and an £80 victim’s surcharge. John Pullen was sentenced to 80 hours’ unpaid community work and ordered to pay £375 costs and a £60 victim’s surcharge. In all cases where an individual has been prosecuted the overpayment will have to be repaid in full. All three prosecutions were brought by Cheshire East Council’s legal team. If you think someone is committing benefit fraud, you can ring the National Benefit Fraud hotline on 0800 854 440. You don’t have to give your name and your call will be treated in the strictest confidence. 'The Ultimate Christmas Party' took place at Nantwich Civic Hall on Saturday 5th December 2015. Christmas hats and crackers adorned the tables on arrival to the Hall, whilst the Yuletide atmosphere was further enhanced by snowflakes and flashing snowflakes suspended from the ceiling. Magician Dan Tril performed some mesmerising card tricks and close-up magic tricks around the tables to warmup the audience. Five-piece band 'One Eye On The Christmas Cake' took to the stage and energetically performed a stream of floor-filling hits including All Night Long, Shake It Off, Domino, Get Lucky, All About That Bass, No Place I'd Rather Be, Shut Up and Dance, We Found Love, along with Merry Christmas Everybody and Fairytale Of New York. There was a release of balloons during Mariah Carey’s All I Want For Christmas Is You. ‘U've Been Framed!’ - http://www.uvebeenframed.me.uk - provided a photo booth to allow audience members to wear props and strike a pose in front of the camera. The event finished with a disco until 12:30am. The next Warble Entertainment event at the Nantwich Civic Hall is ‘REVIVAL – The ABBA Experience’ next Friday 11th December 2015 (tickets = £10, doors open 7:30pm). Tickets are available from Nantwich Civic Hall Tourist Information or by calling the Civic Hall Box Office on 01270 628633. The ‘Weston Christmas Light Display’, supporting The Donna Louise Children's Hospice, takes place at Carters Green Farm, Jack Lane, Weston, near Crewe every day in December until Monday 28th December 2015 (6:15pm to 9:00pm). Every Friday, Saturday and Sunday evening and the last few days before Christmas, Santa will take time off from his busy schedule to visit the farm and sit in his sleigh. Graham Witter, who is a second year BA (Hons) Business Management student at Manchester Metropolitan University (Cheshire Campus), has setup hundreds of lights at Carters Green Farm to raise money for charity. He started to install the lights in early-October and several hundred plugs are required to hook up all the displays to the electricity supply. The display covers farm buildings, the garden and an adjacent yard and contains a combination of rope lights, LED lights, animated 3D figures, and 3D inflatables, together with background Christmas music. There is also a small wooden Santa’s grotto and a life-size Santa's sleigh. For the third year running Graham is raising money for The Donna Louise Children's Hospice http://www.donnalouisetrust.org/ . Last year he raised an incredible £5,720 for the charity and the money was used to help fund additional nursing staff and their training. Graham said, “My sister uses The Donna Louise Children's Hospice for respite care so I know what a fantastic job they do. My display is even bigger than last year and I would like as many people as possible to visit. I'd like to beat last years total and I want to encourage everybody to come along during the week. At weekends they can even have a sleigh-selfie with Santa. I wish everyone a Merry Christmas and a Happy New Year." To visit the display if heading from Crewe turn right off Weston Road (just after Crewe Hall) into Main Road towards Weston, then left into Jack Lane. If heading from Weston go over the A500 bypass bridge on Main Road and turn right in Jack Lane. 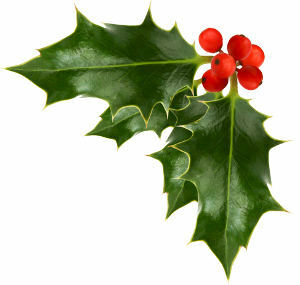 From both directions look out for the ‘Charity Christmas Light Display 6.15-9pm’ arrow signs at the end of Jack Lane. Three fraudsters who falsely claimed a total of more than £19,800 in benefits have been successfully prosecuted by Cheshire East Council. The trio will now have to repay in full all the benefits they obtained by deception. The court heard that Thomas, 27, had failed to declare she was in work when she made her application for housing benefit and Council Tax Benefit, which led to her receiving £6,426 in benefits that she was not entitled to. The court was told the husband and wife had submitted a joint application form for benefit to the Council in August 2011, in which they failed to declare that Mrs Pullen was in work. John Pullen was sentenced to do 80 hours’ unpaid community work and ordered to pay £375 costs and a £60 victim’s surcharge. Councillor Les Gilbert, Cheshire East Council’s Cabinet member for communities, said: “Cheshire East is an enforcing Council that actively pursues the recovery of all fraudulently-obtained money to ensure taxpayers don’t lose out. “Benefit fraud will not be tolerated and this authority is determined to stop fraudsters from helping themselves to money that belongs to law-abiding members of the public. “The defendants in these cases thought they could get away with claiming benefits they were not entitled to – but they were making a very big mistake. “They are now worse off as a result – as they now have criminal convictions for a serious offence of dishonesty and each faces a big bill to repay the money they fraudulently claimed. There has been a recent series of incidents whereby fraudsters either phone or attend the home address of elderly members of the public, claiming to be police officers. Cllr Jones also announced the Council is to establish a new regeneration company to deliver an economic growth strategy for the south Cheshire sub-region and seek Cabinet approval for the release of £500,000 from current budgets to deliver the HS2 programme. This strategy will be a key element of the wider Northern Gateway Partnership. Previously the Transport Secretary had called for HS2 to be ‘fast tracked’ and indicated again that Crewe could become the first northern hub for HS2 before the 225mph service continues to Manchester. Welcoming today’s announcement Cllr Jones said: “This is massive news and a real game changer – not just for Crewe and Cheshire East, but for Stoke, North Staffordshire and the region as a whole. “This is not simply about high speed – it is crucially about capacity and connectivity. The benefits to Crewe and the surrounding area would be massive in terms of jobs and the economy – it’s a real once-in-a-generation opportunity, the like of which Cheshire East has not seen before. “However, as we have consistently said, we want to reach out to our neighbouring local authorities and see the growth and benefits spread to them as well. “This Council has put in an enormous amount of work over the past four years to seek to secure HS2 for Crewe and the new regeneration company will build on that. “The confirmation of the HS2 route – which makes Crewe the logical place to locate the North West hub – is something we have been looking forward to with real anticipation. “We want the right solution for Crewe and the wider region – that would enable the economic benefits to be enjoyed across the whole sub-region, stretching along a corridor from North Staffordshire to North Wales and Merseyside. Mr Osborne also announced today that ex-head of the CBI busines group John Cridland would chair Transport for the North. This new body will look to improve transport links across the region. An HS2 Superhub at Crewe would help deliver more than 120,000 new jobs and over 100,000 new homes across the Northern Gateway partnership area over a 25-year period. It will boost the region’s economy by £10bn a year by 2040 and also greatly increase demand for skilled workers. Because of this, the Council has backed the creation of Crewe Engineering and Design UTC, which is due to open its doors to students next September, to boost education and training in the area and broaden and raise the academic and vocational skills of the region’s young people. The mid-Cheshire towns including Northwich, Winsford and Middlewich, will see significant economic gains from improved connectivity. The Council is working with Department for Transport and Network Rail to finalise the location of the new HS2 hub station at Crewe that would deliver both the needs of the railway and secure the levels of economic transformation to the Northern Gateway. In October 2014, Sir David Higgins, Chairman of HS2 Ltd, announced Crewe as the preferred location for a ‘Superhub’ north of Birmingham. He also indicated it was hoped to deliver the northern section of the project five to six years sooner than the expected date of 2033.